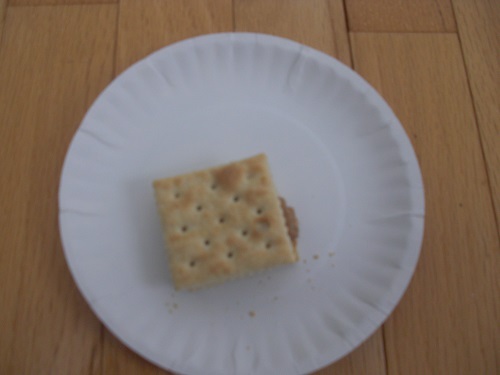 a cracker with peanut butter. You should apply for a patent before someone else takes all the glory (and money). 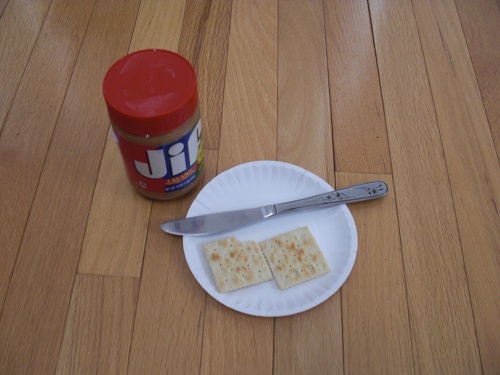 I'd be more impressed if he could make a paper plate. The leap from assembling tools to end product is a bit disconcerting. Where are the instructions?